Axel Harvey is one of Canada’s leading research astrologers. He is currently co-editor of the very fine journal Considerations, but many of us can remember his contributions to the little journal Correlation back in the early 1970’s. He is one of our finest technicians in the spirit of Charles Jayne and L. Edward Johndro. 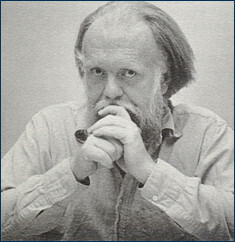 Michael Erlewine took this chance to talk with him during his visit to Matrix after the UAC convention of 1986. Erlewine: You have just returned from the ACT conference as part of UAC. Harvey: Yes. In fact, ACT (Astrological Conference on Techniques) was a major factor in getting me back into astrological organizations at all – probably because ACT is not really an organization. It’s more of an event. ERLEWINE: Right; and planned that way, too. It doesn’t have a hierarchy. You had a special experience at UAC regarding your fellow Canadians, isn’t that right? HARVEY: I was badly burned by some astrological organizations that I won’t mention the names of, in the early 70’s. Events were OK, but organizations were something else. So I went to UAC in San Diego, and met a whole bunch of Canadians there. They made me feel very proud and obviously not the same Canada that I started to do astrology in, in the middle 60’s. I think they’re ready to promote some serious astrological work. ERLEWINE: So, you felt some kind of kinship with your fellow Canadians. HARVEY: Absolutely. Well, I always did. I’m ready to get back into some kind of serious action. I’m thinking more in terms of doing things with people. If you want to organize something, if you want to publish something, if you want to get a meeting with people together, you have to have an organizational base. True. And you have to have it locally, I suppose. You see, I’ve always had the feeling-I know- that Canada’s a very astrological country. All you have to know is that Manley P. Hall, Edward Johndro, Firebrace, Ada Muir, Paul Clancy, and Lois Roddin came out of Canada. I think that’s an impressive list. But also, there’s the French factor there. The French-Canadian astrologers are all steeped in a slightly different tradition. You know, the French astrology which is more…well some of the interpretation techniques are different. It’s much more of an event- or materialistically-organized astrology. But this is different. At the same time, all these French-Canadian astrologers are bilingual; they’re all reading English and American books. So, they have a view of the astrological world which no one else has. I guess their main fault is that they are such anarchists. They don’t speak to anybody. It’s part of the French-Canadian temperament. ERLEWINE: Tell me more about that, because the truth is a lot of Americans don’t think of Canadians as all that different than themselves. Maybe you should describe some of the differences. I tend to think of Canadians as just like Americans. HARVEY: The fact that you talk a different language makes you think about the world differently. And French astrology has been separate from English astrology since people stopped writing Latin. ERLEWINE: Are the French-Canadians reading a lot of French astrology? HARVEY: Well, of course. That’s what they read mainly. Well, Balbault and Volguine, and some of the less well-known French writers. Yes, in that sense I’m a typical French-Canadian astrologer. I’m going to all the traditions, and that’s unique. There’s no other place in the world with that particular mixture of French and English astrology. I’m not saying that the French-Canadian astrology is superior, or anything; it just has its own unique cultural mix and therefore its own outlook. But it’s never gained the sort of social momentum to be able to support things. I hate that work, but it’s a necessary fact of institutions. One thing that has made English astrology so strong is that they have their institution. You can rely on the Astrological Journal to be there. ERLEWINE: It sounds like you are getting some signal-an inspiration or perception that a French-Canadian institution may be being born. HARVEY: Well, I don’t know if it will be that sudden. But I’ve felt this way about French-Canadian astrology ever since I knew astrologers. What’s different now is there’s a strong, but different astrological community in Eastern Canada-as strong as the English astrological community. And as long as they were just by themselves, the English-Canadians were just like Americans. Now there is contact being made: French-Canadian astrologers giving workshops to English-Canadian astrologers. And that’s like a new marriage. Some kind of fruit is likely to be produced. ERLEWINE: How did you get into astrology? HARVEY: I guess that’s a long story. I always give people the simple story that when I was doing my masters in history at Toronto, I happened to be doing a seminar on 18th century France, and I did some research which involved Henri de Boulainzilliers who was quite an important man at the end of the 17th century – the first taxation economist, a scholar, and an astrologer. As a historian, I had to admit that there was very strong evidence that this guy did quite weird predictions. As a matter of fact, he had to attend court in Paris, and he didn’t like to. He wanted to go home to his farm. So, he started predicting when people would die. And they did. That did it. For a while, he got what he wanted. ERLEWINE: People came to him for that? HARVEY: Sometimes they came to him. But he was just volunteering this information, knowing that it would be extremely obnoxious and get him sent home where he wanted to be. At least, that’s the story about it. Anyway, that’s what first got me interested, because astrology didn’t even exist for me before. I was 23 or 24 then. But I slowly (very, very slowly) accumulated knowledge about astrology. It wasn’t until I had Saturn beginning to go down in my chart-from the top down. At some point I lost everything that was dear to me: job, woman, apartment, etc. And I holed up. I did my crab act. And I hit the astrology books. But, OK, that’s the simple story. Then I never stopped. From that time on I was studying 20 hours a day – you know the way people always take off. But there were other influences around me. There was a French-Canadian astrologer, who has since become a very popular maker of annual fortune books, and I used to go and pester him around that time for information. He got fed up. He said, “I’m going on holiday, I’ll give you my books”. And that’s how I got the books. He went on holiday and lent me his books, which I was reading 20 hours a day until I got my own. Montreal has always been astrological. From time to time, one generation might not know that the previous generation even existed and they’ll say, “Oh wow, astrology’s really developing fast in this city”. I was going through an old library-a rare book library-and I found an ephemeris done in the middle of the 19th century for local mean noon Montreal time. Which means it was worthwhile for somebody to publish that ephemeris in the middle of the 19th century. So I figure it’s always been a fairly astrological community. Fortunately, I didn’t-I couldn’t-stay stuck in just one school or one line of thought, because of the nature of the ethnic mixture in Montreal. There were these French-Canadian astrologers doing very old fashioned, divinatory French astrology. There was, of course, a strong North American influence. There were a couple of Germans, doing very rigid cosmobiological sorts of work. And there was at least one Englishman, Michael Pym, who was a very technical, pure, siderealist of the Anglo-Irish sort. I think he was into things like the vertex, solar apex, and all the more technical things. He had a big influence on me. I wish I knew where he was today. Michael Pym, if you’re out there, drop a line. ERLEWINE: How did you gravitate to the niche that you have in my mind, of a very high degree of technology? How did you get into the details of it? There aren’t many astrologers who do it. HARVEY: Maybe it was sort of a reaction. Maybe even a neurotic reaction. I’m a historian by training, and in a way history is very close to traditional astrology, because you’re dealing with unique cases. You have to explain a country, which is just as complicated as explaining an individual. And really, in spite of what modern historians say, it’s not terribly technical. It’s more of an art than anything else. But you have to know tons and tons of facts. It’s sort of a “mountain of nuts” approach: you have all these facts and then you try to digest them and come up with some intelligent digestion. Mathematics is completely the opposite. There are no facts in mathematics. It’s not an art in the way history is. You just figure things out. And you could do it with a couple of pipe cleaners, or an envelope and pencil, or whatever. And I find that very restful. I especially did then because it was such a completely different sort of intellectual exercise. That’s one explanation. The other explanation was that there were simply things that I didn’t understand. Writers, even technical writers like good old Alan Leo, have a lot of sound technical information in some of their books. But one cannot understand them. You have to translate them into modern terms. At least, I find that I do. And in the course of understanding all these things, I became a mathematician, I guess. It was more from an inner predilection-an inner need for a change from the kind of intellectual work that I was doing. ERLEWINE: And you also were a counseling astrologer? HARVEY: I think I used to be a counseling astrologer when I was least competent to do it. Because I’m fairly certain that I’ve done some harm to some people at some time. I started counseling immediately. My clients tended to be my own age, so I saw a lot of people who wanted to know who they were and what they ought to do. And maybe most of my work in the first ten years or so, was involved with that. Now I’m seeing more people who know what they want to do and they want to know when to do it. They’re seeing me more as a technical consultant. They don’t have time to do elections, or directions and transits-or whatever-related to timing in what they have to do. HARVEY: I liked your interviews in Astro*Talk with Charles Harvey. For one thing, it made me feel better about Geoffrey Dean. ERLEWINE: There were some nice things about Geoffrey in that. Well, aside from being very nice in person, Dean can be a bit of a monster in print. Have you met him? ERLEWINE: He’s not a very large person and he is very animated, not at all like he sounds from his letters and such. HARVEY: He’s animated? He looks so Saturnine. ERLEWINE: That one picture of him in Recent Advances is really unfortunate. He doesn’t look like that at all. He looks kind of Irish-almost elf-like. He’s about my size (a little taller, maybe) and he’s a backpacker; a woodsman who loves nature and photography. That’s one side of Geoffrey. He can be very pleasant to be with. On the other side, he’s got all his pride wrapped up in those miles of photographs and xeroxed documents. No one else I’ve ever known measures themselves by quantities of Xeroxes they have produced. “Look, this is how many miles of letters I did. This is how many…” etc. He measures correspondence by the pound. I’ve always found this fact humorous. One other thing about Geoffrey that I witnessed during his visit here is very interesting on a personal level: One evening, he launched into the most Neptune-like astrological speculation in the kooky, traditional astrological style (the most blue haired old lady style of astrology). As off-the-wall as you could imagine. ERLEWINE: Absolutely! “The bigger the front the bigger the back” is a macrobiotic statement, and in this case it is, in fact, true. He said the craziest things. Most people believe he doesn’t have a bone of that kind of astrological stuff in his body. Well, he does. He’s got the same crazy astrology stuff in him that you and I do. In other words, he’s an astrologer. And I would have never known that from his writings. I like Dean personally, but I do not always like him in letters and such. He can be insulting and appears terribly prejudiced toward whatever he’s currently orientated to. And as Charles Jayne insisted on pointing out, he can be unfair to people and ideas. And yet he’s done wonderful work. But in some sense he’s not a fair person, and to that degree, he is not a good editor. HARVEY: Other people have accused him of being anti-American. I think that’s true. ERLEWINE: I haven’t heard that. I have heard statisticians declare that he’s got early 20th century statistical ideas. He’s not modern. All the statisticians I’ve known (some of the best in our field) that have read him, just go “Arghhh” over his concept of statistics. Rupert Sheldrake would be wasted on him. HARVEY: Yes, this is my impression from talking to statisticians too. ERLEWINE: But apparently he’s a prodigious worker. A tremendous worker. HARVEY: I’m sure grateful for that book. What gets me the most about him is his discouraging tone. There’s nothing wrong with having prejudices. We all have prejudices. But he’s so discouraging. I mean, he could say the same thing he’s saying without being so discouraging. And he’s also raising all the sorts of hackles that don’t need to be raised. He’s making people fear that if astrology becomes more rigorous then it’s somehow going to be imitating some other discipline. You often read criticisms of Geoffrey Dean that say, “Look, astrology doesn’t have to become like sociology, or physics, or whatever”. I don’t think that’s his real point, nor is it any sort of real point. I think that astrology is going to become rigorous. And there is going to be a way of making a hypothesis and finding out whether or not it’s true. ERLEWINE: Your Journal Considerations is one of the best in the field. How did you and Ken Gilman happen to start it? When did that happen? HARVEY: Considerations is Ken’s creation. ERLEWINE: But you’re the co-editor. HARVEY: He was looking for something to create. I think he was ready to create, and he did it. And he asked me if I’d help him. I remember clearly, he asked me on the phone, he said “Will you help me do a magazine, if I do it?” And I said “Yes”. But he meant will I send him an article now and then, or give him some ideas. So I sent him a letter full of ideas, none of which I think we’ve implemented yet. But it turned out that he wanted an editor. I went and helped him out. I keep on going down and helping him out. ERLEWINE: How many years have you been publishing now? HARVEY: We’re now nearing the end of Volume 3. So we started in November 1983. ERLEWINE: What kind of articles are in Considerations? HARVEY: We try to have a mix. We have some very technical articles about directions and rectification techniques. We have more cosmological articles, like those by Charles Jayne that we published, and others. We had a good series by Bruce Scofield on Meso-American astrologers. I think we’ll have more Mexican and Meso-American astrology. ERLEWINE: What do you and Ken see as the goal? HARVEY: I think our goal is to keep astrology open. There’s a tendency, I fear to push astrology into one direction or another. I think it’s great that schools exist. That tendencies exist. That there should be a group more inspired by Charles Jayne. A group more inspired by Dane Rudhyar. That’s great. But what I don’t go along with is when these groups say “OK. Astrologers should now go our way”. I think that will weaken astrology. HARVEY: The school should go this way, or the group, or whatever. They can be as exclusive as they want. You need to have connecting boxes somewhere. We hope to be one of the connecting boxes. It would be nice to have an organization, because then you can get your hands on a bit of money. But then you also get politics. For instance: Geoffrey Cornelius is probably one of the most brilliant young astrologers, and he has had to step down from being editor of Astrology. HARVEY: Apparently, it’s because some committee or another wants to oversee the editorial policies of the Journal. ERLEWINE: How come people like Charles Harvey don’t do something about this kind of thing? HARVEY: Oh no. This is the Lodge. The Astrological Lodge of London. Charles is president of the Astrological Association. ERLEWINE: Aren’t people over there as aware of Geoffrey Cornelius as we are here? I’m sorry to hear that he’s resigning the editorship. HARVEY: It’s the sort of thing that happens in political organizations. Rare is the organization that leaves its hands off. It would be nice to have institutional backings and have editorial freedom. ERLEWINE: Let’s go back to the early Correlations, and talk about some of the articles you did. That magazine was very important to me back then, and I’m sure I’m not alone in that opinion. Simply the fact that the things that interested you were technical. HARVEY: That’s right. That was the bent of the first Correlations. ERLEWINE: That was wonderful. When did that begin? Who was responsible for doing that? I thought you lived in England with all the other Harveys, and you didn’t. HARVEY: It began in 1969 or’70. And it did run through many things. It was a little insert in the Astrological Journal. HARVEY: One sad thing is that there’s a new series of Correlation. The Correlation that exists now has got its own Vol. 1 number 1 etc., and it has no relationship to the old publication. They always talk about the new Correlation as though they are doing their best to suppress the memory of the old one. HARVEY: It was technical, but it wasn’t just technical. People would write in with ideas. Sometimes quite fascinating, but crazy, ideas about magnetic fields and…well, different ideas. The Astrological Journal, then and still now, was pretty traditional and they were into horoscope techniques. Well, the Journal itself wasn’t modern, so I guess some people in the association decided that there ought to be a forum for people who are into more modern things. And they made it that little separate insert and called it Correlations. I don’t think it had many issues. I’d be surprised if it has much as a dozen issues, over all. ERLEWINE: Perhaps not, but it had a great effect. HARVEY: I guess so. That was the first journal, that I know, where we started to talk about computers. ERLEWINE: Sure. And calculating techniques and you had all these crazy things…different things you’d draw…all sorts of things. ERLEWINE: That was very inspiring to me and to others who were feeling there was no one else out there that had an interest in technical-in the calculation. That was the first publication in which I can remember seeing anything of that sort. And your name was in it a lot. You always were doing these crazy little articles, and I figures maybe you were the brother of Charles Harvey. It was the first modern technical journal that I can think of. Obviously Charles Jayne had done some wonderful things in In Search. However, it didn’t have that “hi-tech” quality. Even though there wasn’t much hi-tech then, it was the highest-tech around. HARVEY: The language was modern. That’s what made the difference. HARVEY: Well, the new Correlation is much more scientific. They’re into verification. It seems to be taken up in a large part by Michel Gauquelin and Geoffrey Dean. And academic control: the titles very often are something like “A Failure to Replicate” this, or “Negative Results” of that, and it’s all very depressing. It’s not a question of either going with the G. Deans and the M. Gauquelins, or going in some other direction. I feel that in my work I’m going to go in their direction and I’m going to come through it and be positive. It’s a matter of being a harder thinker. And making sure what’s worth finding is found. There’s no point in being scared away from this kind of rigorous thinking. We’re only beginning to find the rigorous way to think about astrology. And it’s going to be very rigorous, and very scientific, and it won’t hurt horoscopy one bit. It won’t hurt experiential astrology one bit.